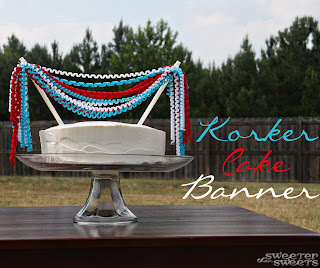 In case you missed my guest post over at The CSI Project, here's my tutorial for a new kind of cake banner, a Korker Cake Banner... it's a fun and festive cake topper for any celebration, no cake decorating skills necessary! Preheat your oven to 275 degrees Fahrenheit. Check to see if your dowels will fit in your oven. 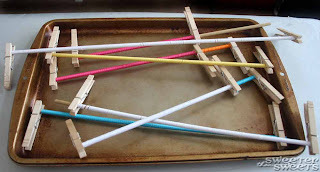 If not, cut the dowels to the right size. 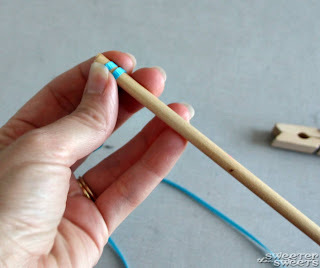 Take one end of ribbon and wrap it around a dowel a couple of times. 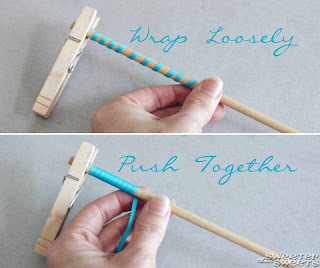 Then secure it to the end with a clothespin. 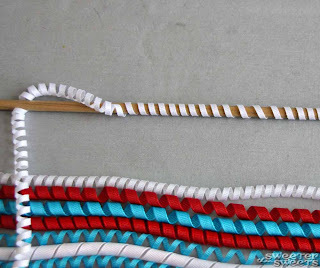 To help the ribbon keep its korker shape, spray with some spray starch (optional). 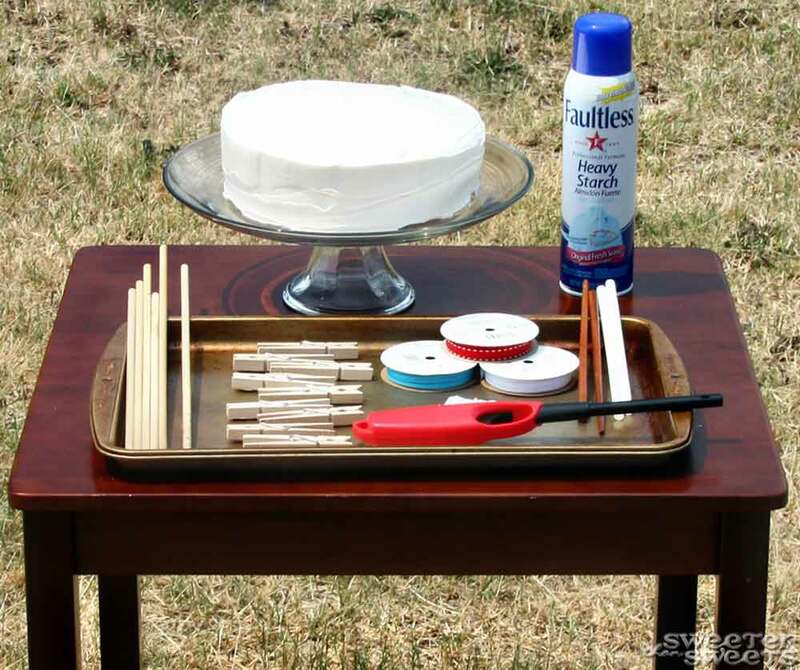 Then place the dowels on top of a cookie sheet and bake in your preheated oven for 25 minutes. Lay all the ribbons out on a flat surface. 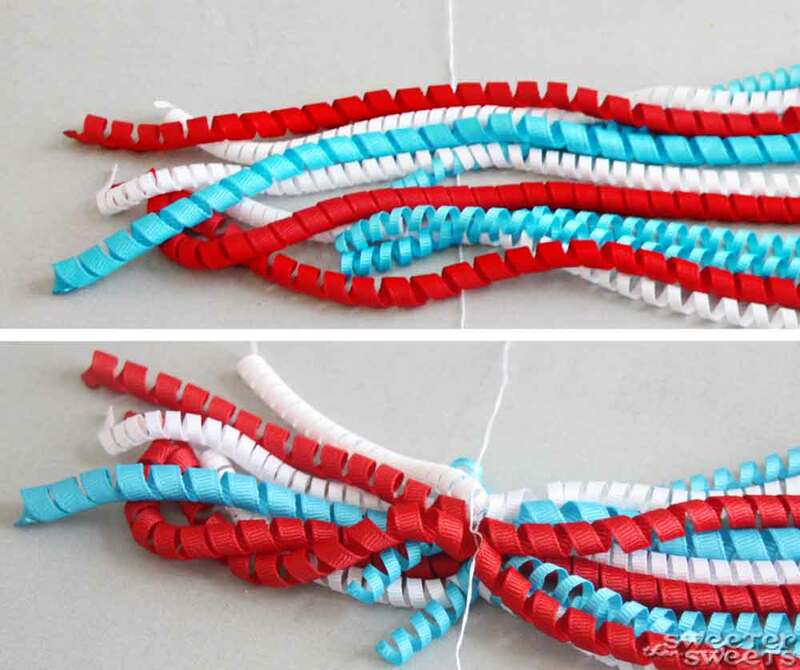 Slide a piece of string or embroidery floss underneath one side, making sure to catch all the ends of your ribbons. 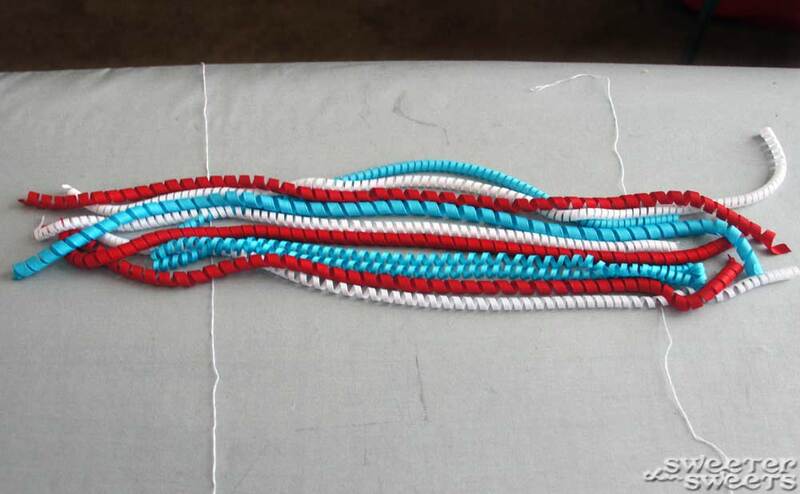 Then tie a knot on one side. 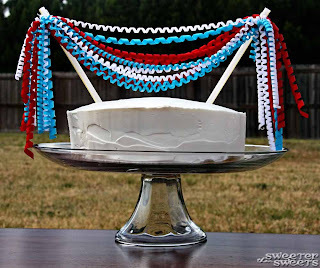 (I found it worked better to just tie one side of the ribbons, then start attaching it to the cake, then tie the other side.) Don't cut the string. 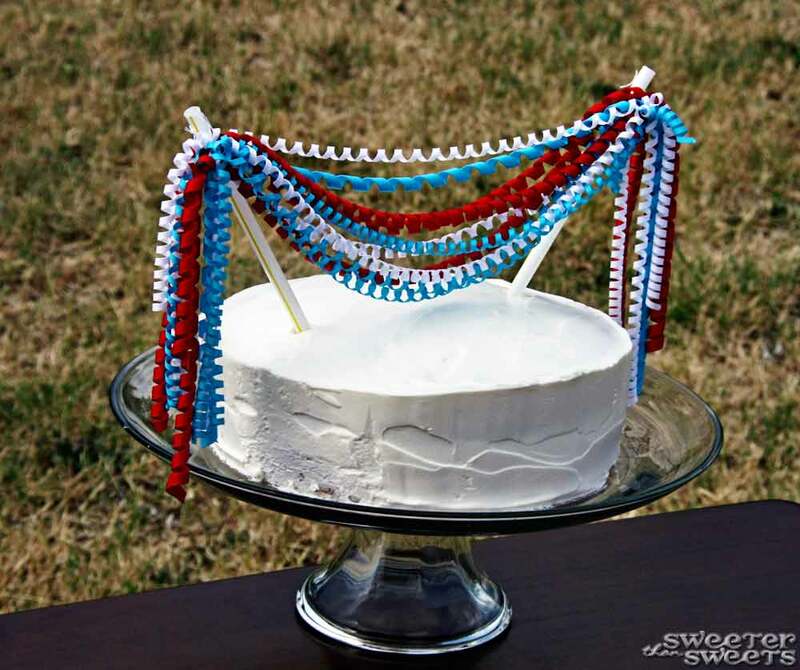 Now put your straws or chopsticks into the cake at whatever angle you want...just be sure they're in the cake deep enough to support the weight of the ribbons (trust me, you'll know when you start attaching the ribbons if they need to go deeper). So that the string doesn't slide right down the straw, put a dollop of hot glue at the top of each straw. 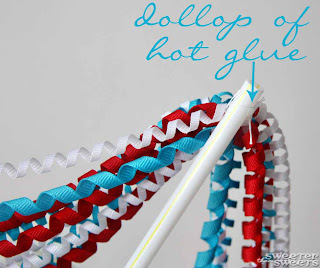 I let it dry and used the dollop just for the knot to rest on, but you could just glue the knot right on there to really secure it to the straw. Attach the first side of ribbons to one straw and try to keep the other end of the ribbons away from your yummy frosting. Once the first side is on the cake, you'll be able to tell where the other knot will need to be. 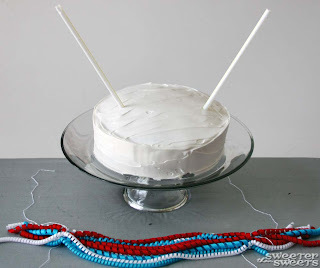 On my first attempt, I tied both knots ahead of time and ended up cutting one out and re-doing it once the first side was on the cake. 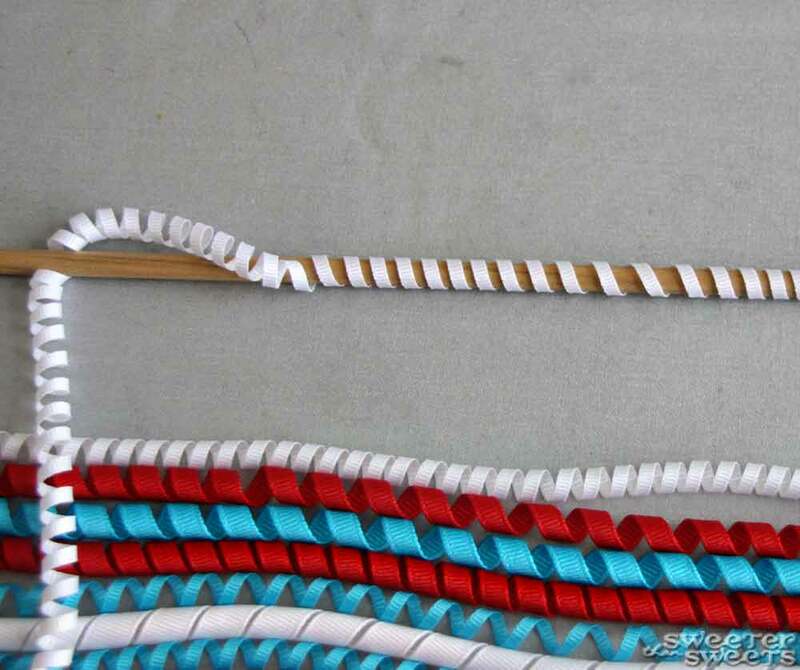 Now tie the other ends of ribbon with your string and attach it to the second straw. Trim (and heat seal) ribbons again if necessary. Ta-da! 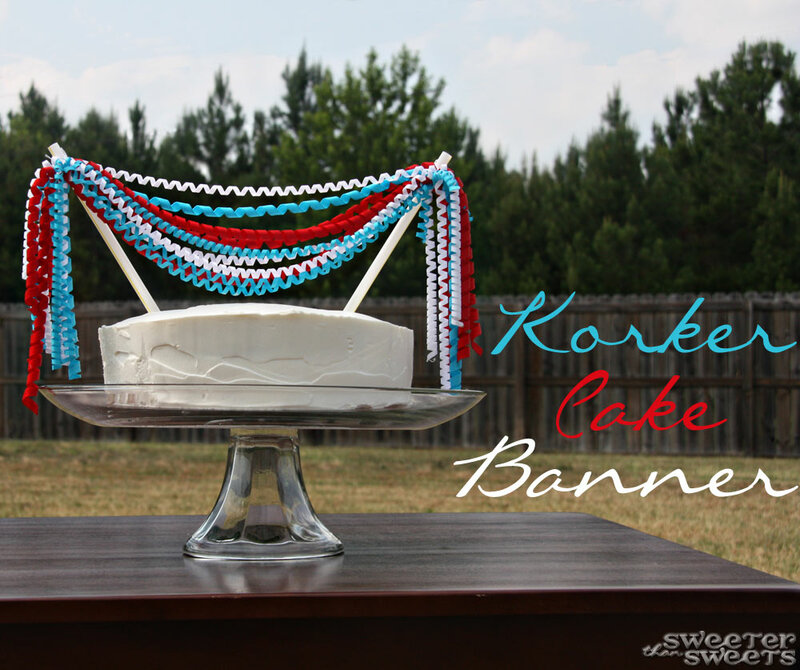 This Korker Cake Banner was fun but it's got me thinking about other ways of decorating with korkers, too: party tables, miniature streamers hanging from doorways, garland on a kid's table... hmmm, what else can you think of? yay! this looks fun for garden party! thank you for clear instruction and inspiration! That's so pretty and fun! I actually haven't cared much for cake banners, but this one is too cute! Super cute! And I'm really impressed with all the picture taking and labeling! That takes time!!! AWESOME!! 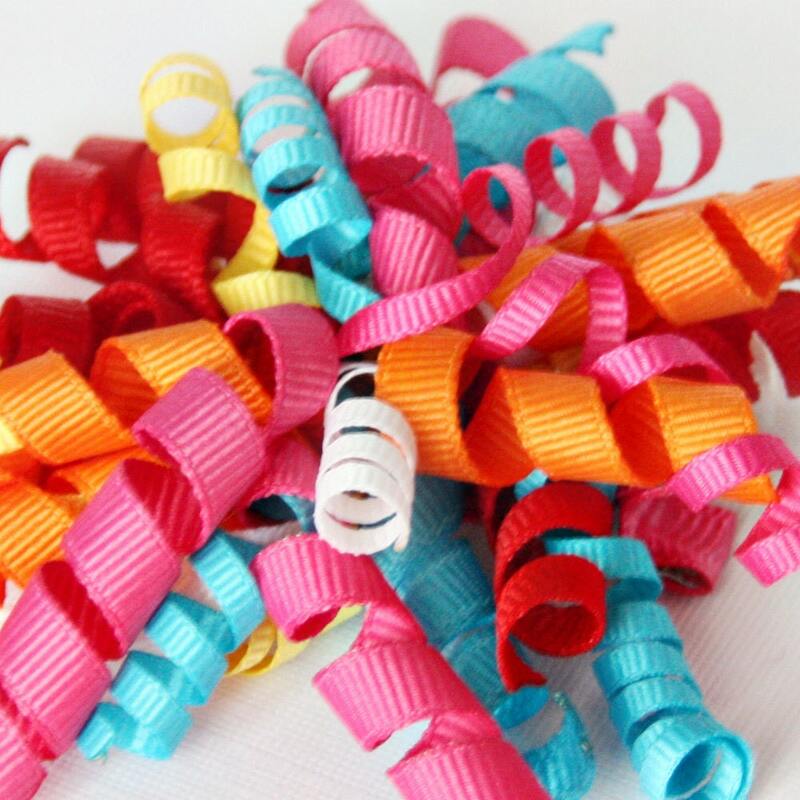 I would love it if you would link up to my Tuesday Confessional link party going on now: http://www.craftyconfessions.com/2011/06/tuesday-confessional-link-party.html. I hope to see you soon! Oh I love these. Thanks for letting me know about them. Super cute! And so many possibilities with color combination! Thanks for linking up to this week's Catch a Glimpse party. Oh my, this is one of the cutest things I have seen today! 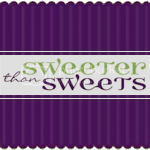 I seriously want to bake a cake and try this banner. 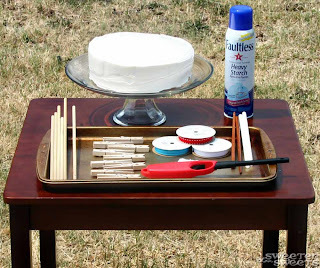 It would be great for a cake decoration party that I am planning. 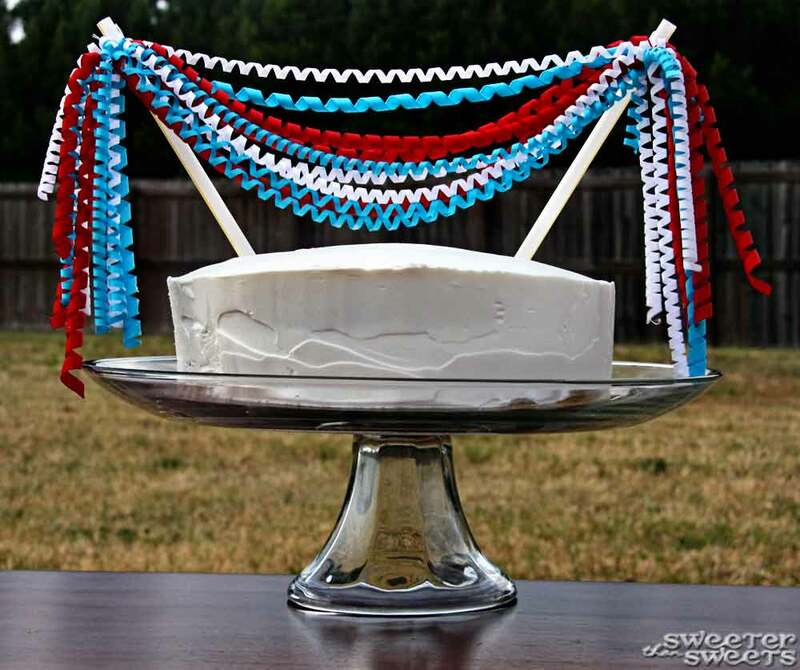 I would love it if you would share this on my July "It's a Celebration" link party. Everyone should see this! Love the korkers! Thanks for the tutorial! Super fabulous idea!! Good thinking! Looks great too! This is awesome!! 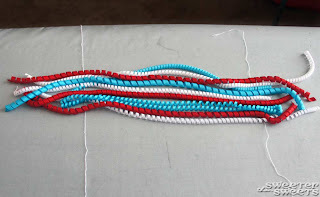 I can't wait to make some. 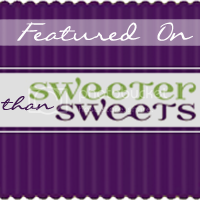 I featured your amazing post on my "Tuesdays Treasures" post today! Please come and check it out!